Pygmy Goats originated from the Cameroon Valley in West Africa. Originally imported to America as zoo exhibits, their size and nature made them popular pets around the world. They will breed every 9-12 months and have between 1-4 young. Whilst they can be used for milk, it is rarely worthwhile. Pygmy Goats are very intelligent, affectionate and love human contact. They can even be taught tricks! They measure under 22 inches tall at the ‘withers’. 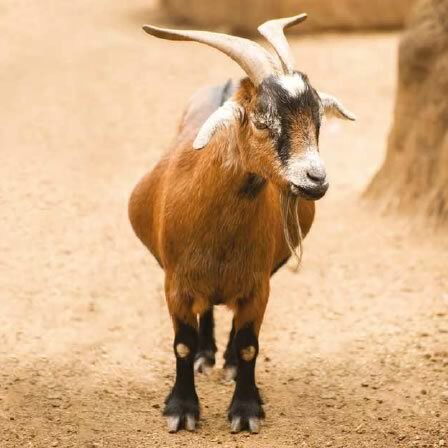 The average height of a Pygmy Goat is 16 inches and weighing around 35 pounds.